The True City Slicker. 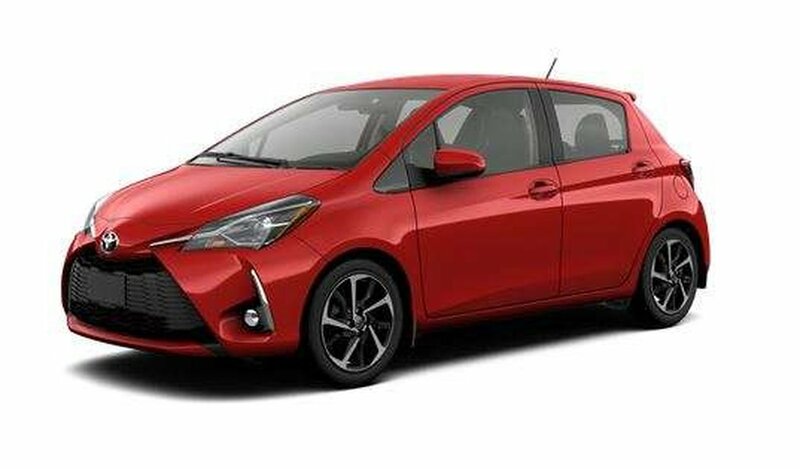 The 2019 Yaris Hatchback is the best of European styling combined with Toyota’s legendary quality, dependability, and reliability - it’s the subcompact that’s making everyone take a second look. Toyota Safety Sense C which includes a pre-collision system, lane departure alert, automatic high beams and dynamic radar cruise control. 4-speed Super ECT with Overdrive, 6.1 inch Display Audio, Leather-wrapped Steering Wheel and Shift Knob, Heated Front Sport Seats, Backup camera and more!